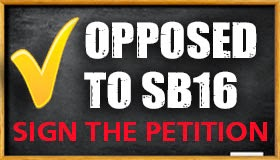 State Representative Ron Sandack and the House Republicans down in Springfield have launched a petition that urges taxpayers all across Illinois to stand up and join them in fighting back against Senator Andy Manar's SB16 and the devastating cuts it would make to schools in the suburbs. We think education funding reform should be comprehensive, thoughtful, bipartisan and done with all stakeholders at the table. We also think that all Illinois children deserve an opportunity for optimal success post high school. If you agree, please add your name to the petition below, and take the added step of sharing it with your friends. Let’s get SB16 off the table and have a true and meaningful discussion for how state education dollars should be spent.